The United States of America has an estimated total population of 321,773,631 (2015), ranking it the third most populous country in the world. 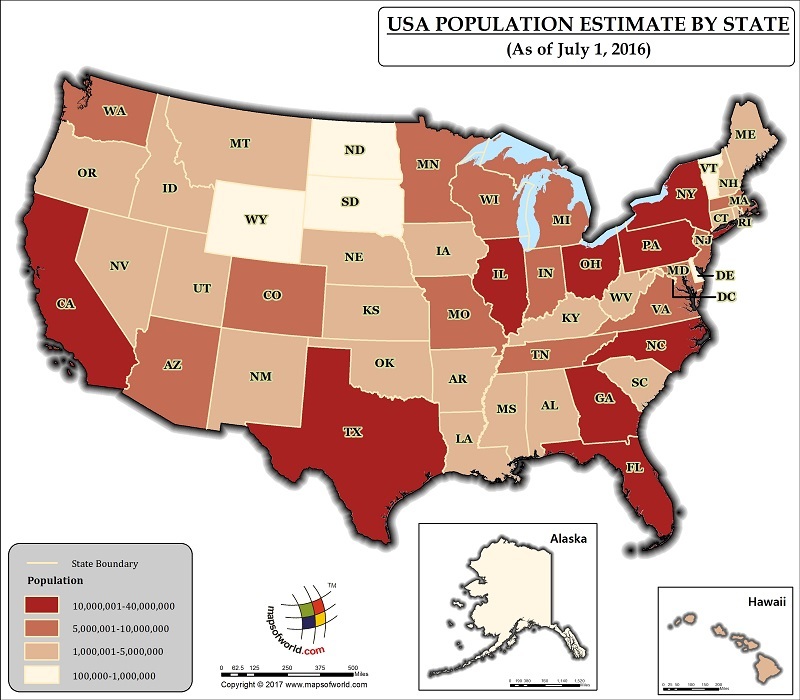 Description : US Population map showing the population distribution by county according to July 1, 2016 estimates. 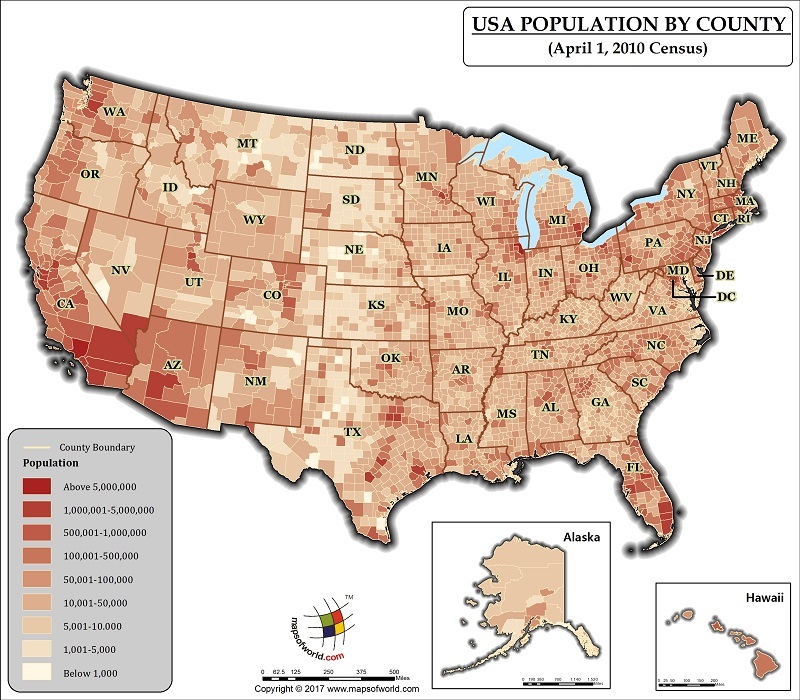 Description : US Population map showing the population distribution by county according to April 1, 2010 Census. The USA population map shows the population distribution of each state, represented on the color-coded map. States with the highest population include California at number one, followed by Texas, New York, Florida, and Illinois. These states are also home to the most populous cities in the United States. The most populous cities in the United States are New York City, followed by Los Angeles, Chicago, and Houston. Over 80 percent of the population lives in one of the urban areas across the United States. Fifty-two metropolitan areas have populations of over a million. The population of the United States is incredibly diverse. The racial breakdown of the United States includes white Americans of a variety of ancestral groups, the major ones being German, Irish, and English. The largest racial minority in the United States is black Americans, followed by Asian Americans. The largest Asian American ethnic groups are the Chinese and Filipinos. There are an estimated 50 million Americans of Hispanic descent, which is one of the fastest growing groups in the country. Biography of Martin Luther King Jr.
Infographic of Martin Luther King Jr.